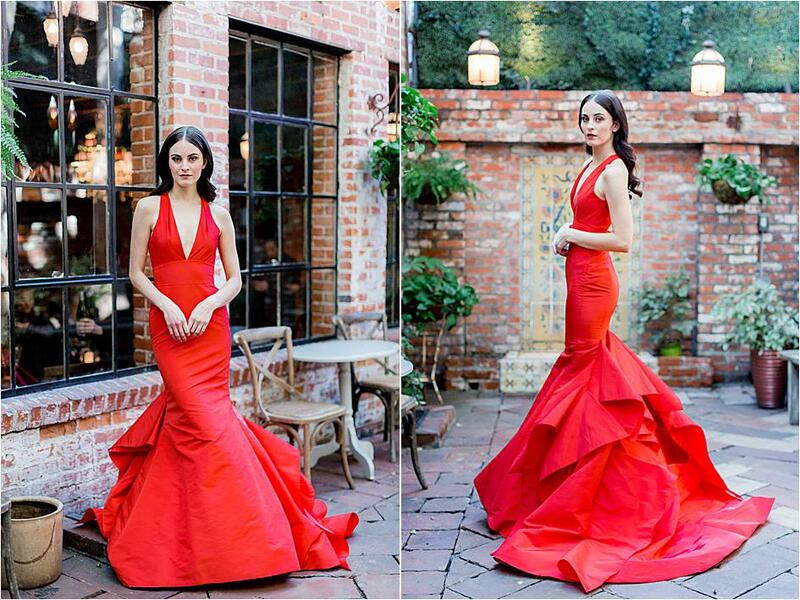 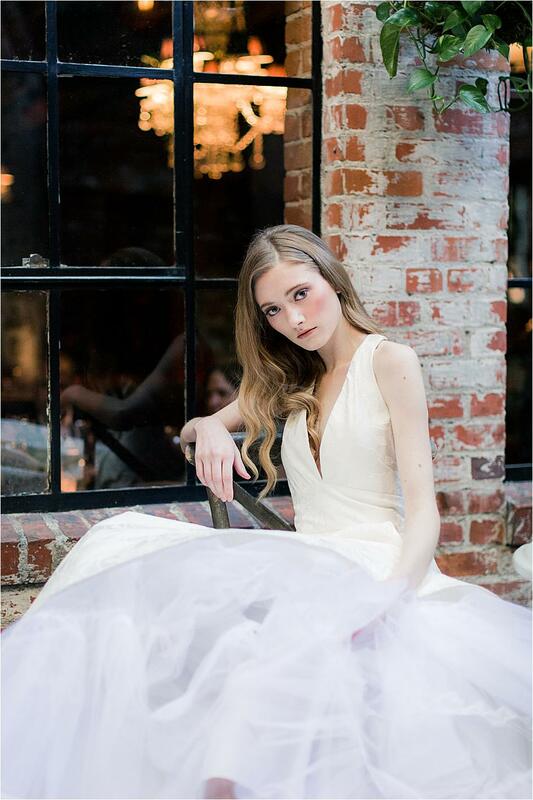 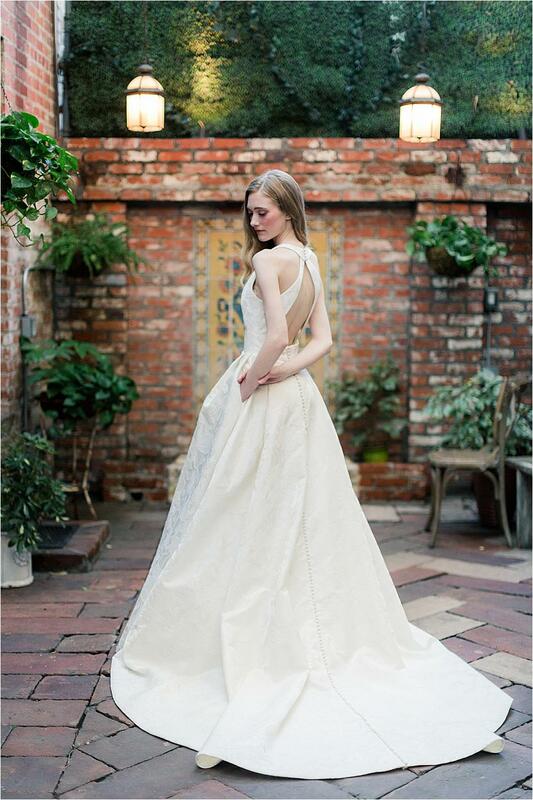 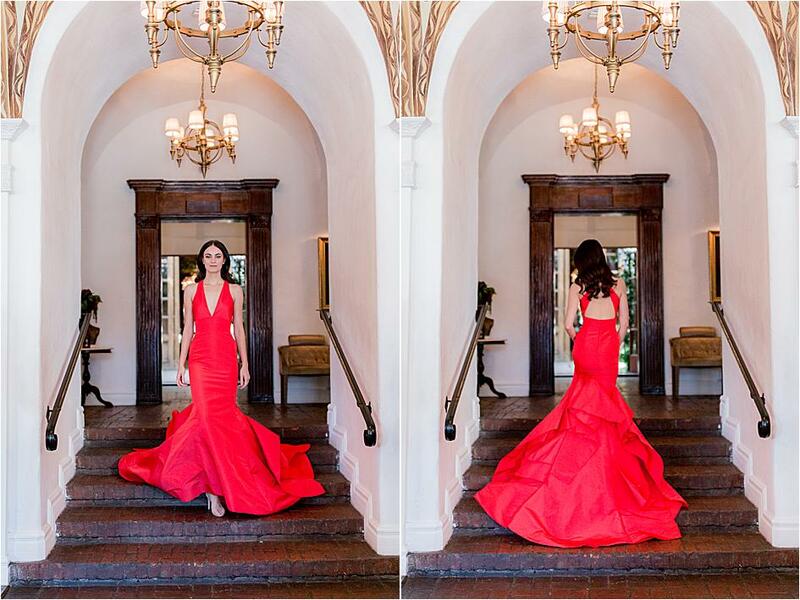 Our hearts skipped a beat when we first saw Allison Webb’s debut collection at JLM Couture. 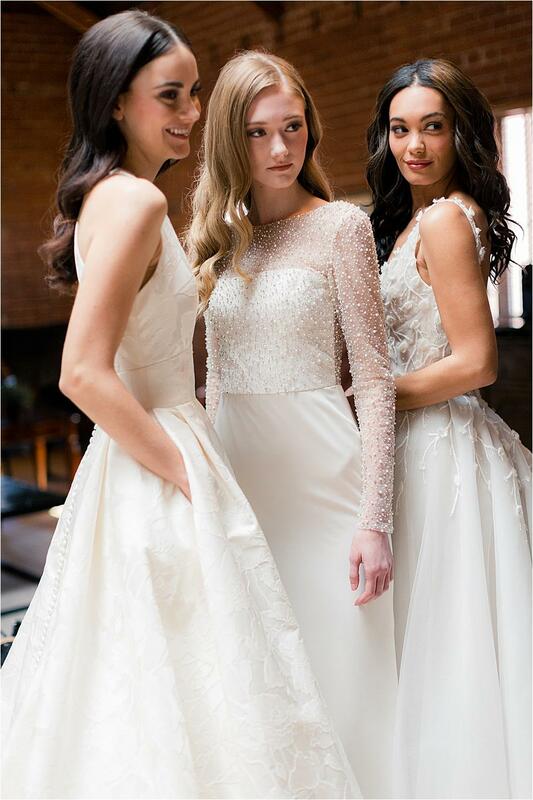 Her gowns are a bride’s dream featuring polished and sophisticated wedding gowns with impeccably romantic touches that include delicate embroidery, beading and the perfect touch of lace. 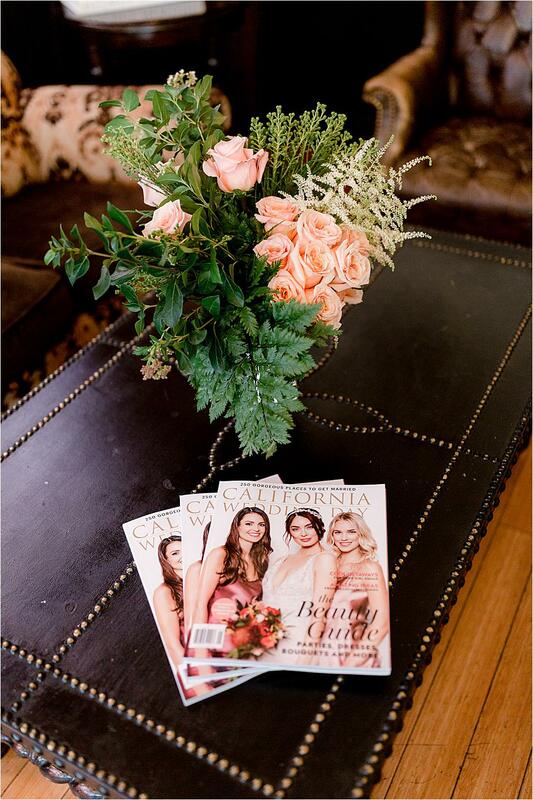 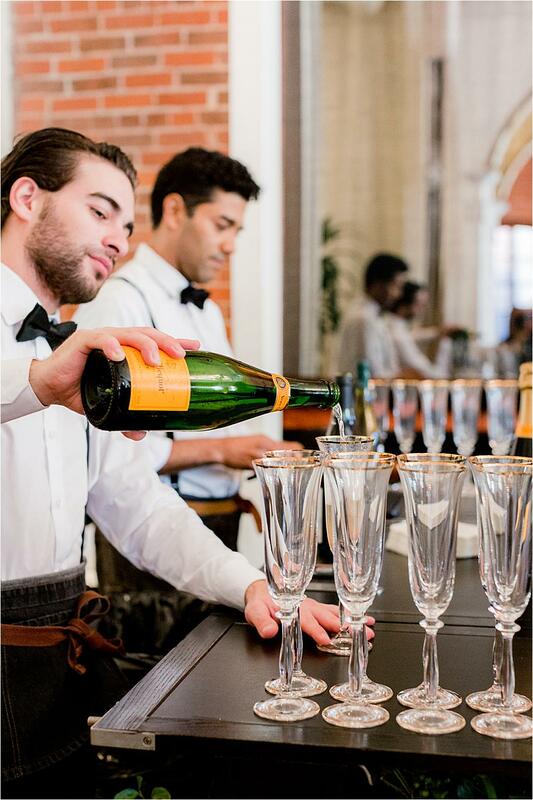 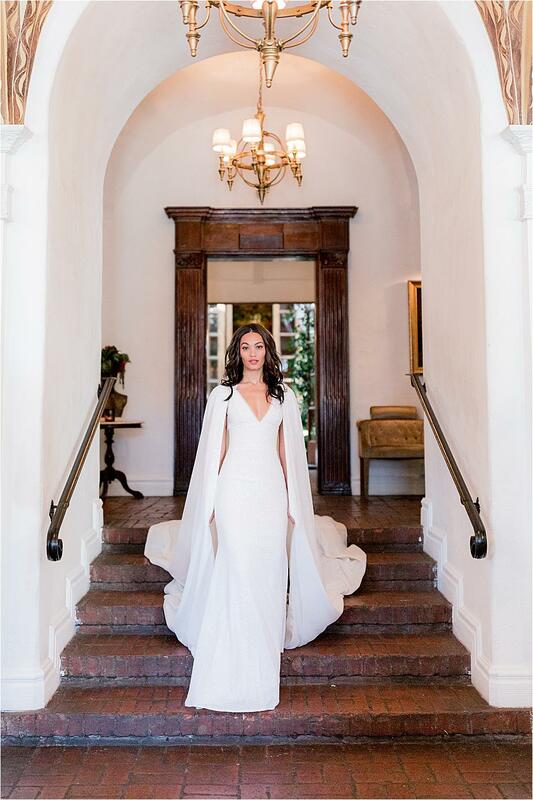 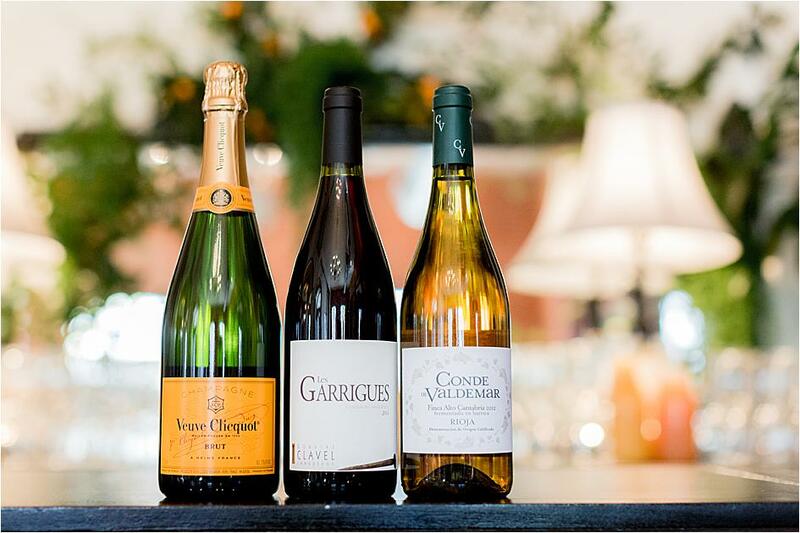 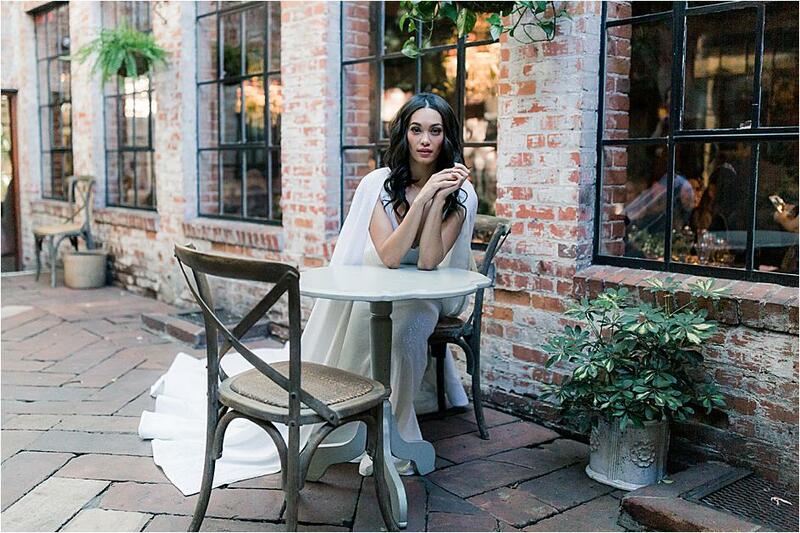 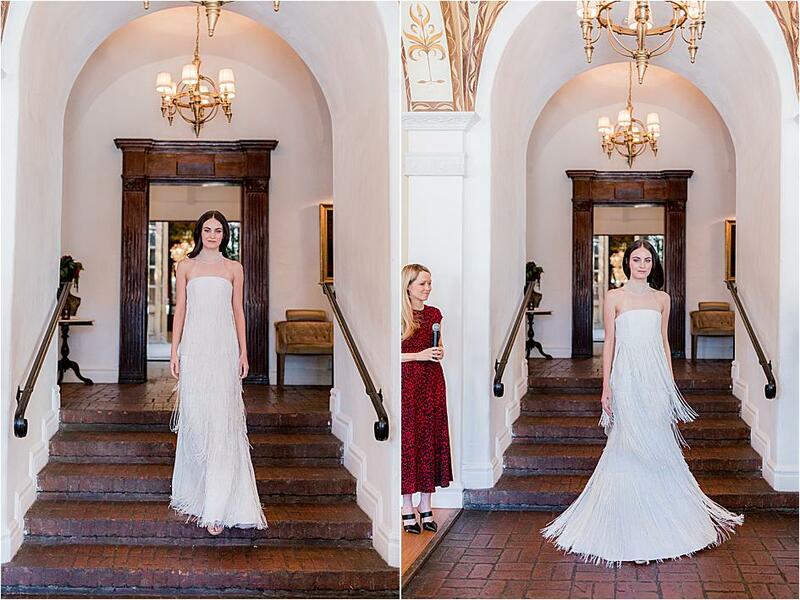 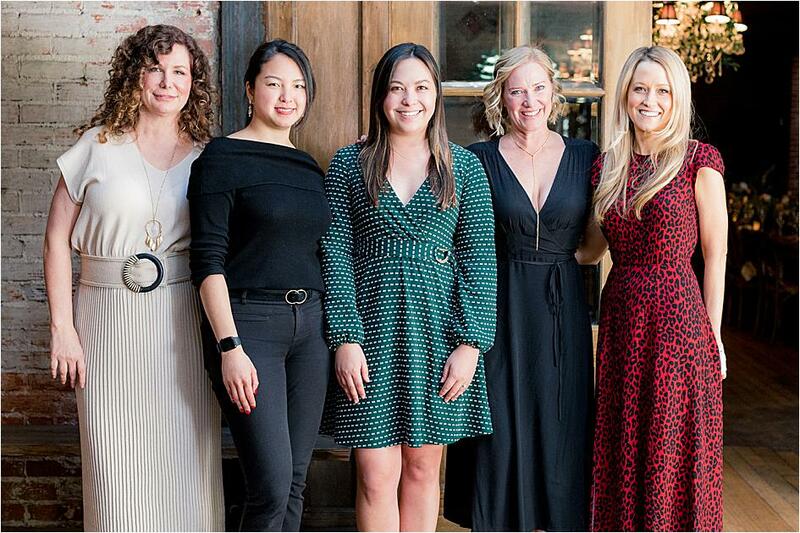 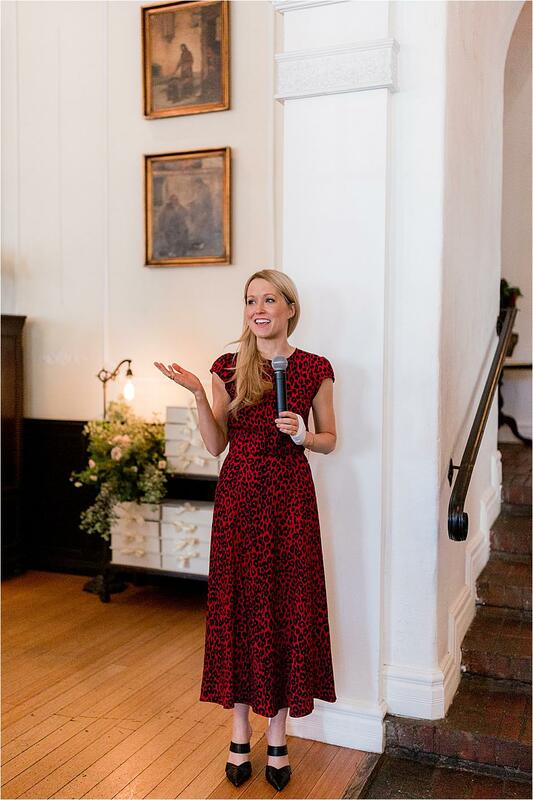 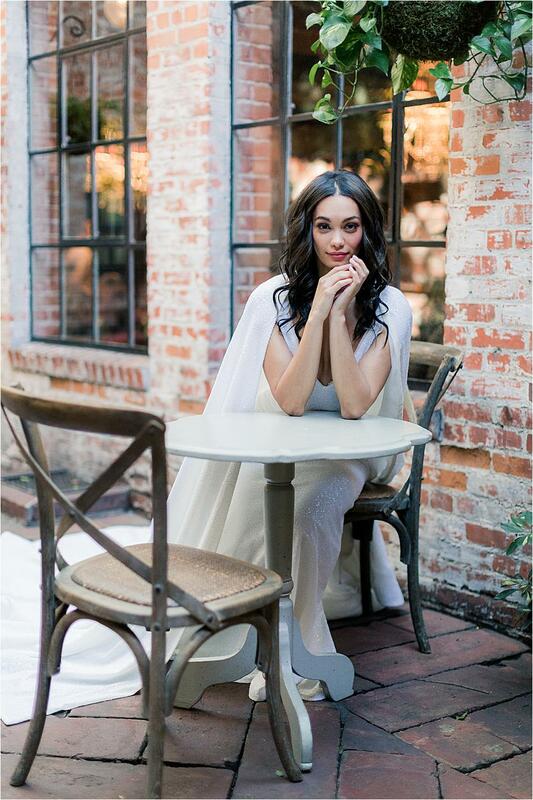 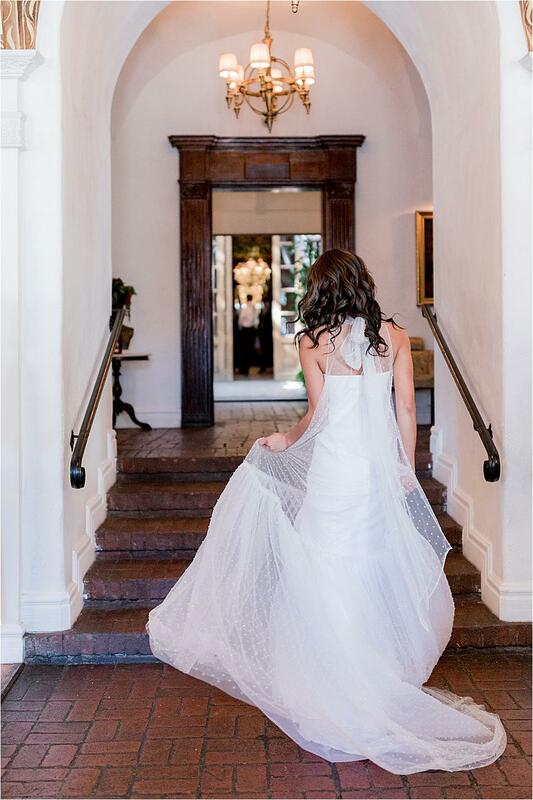 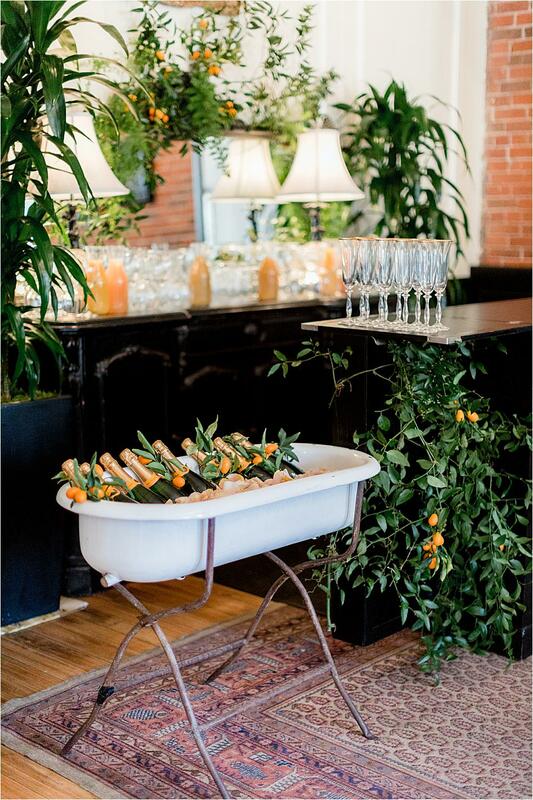 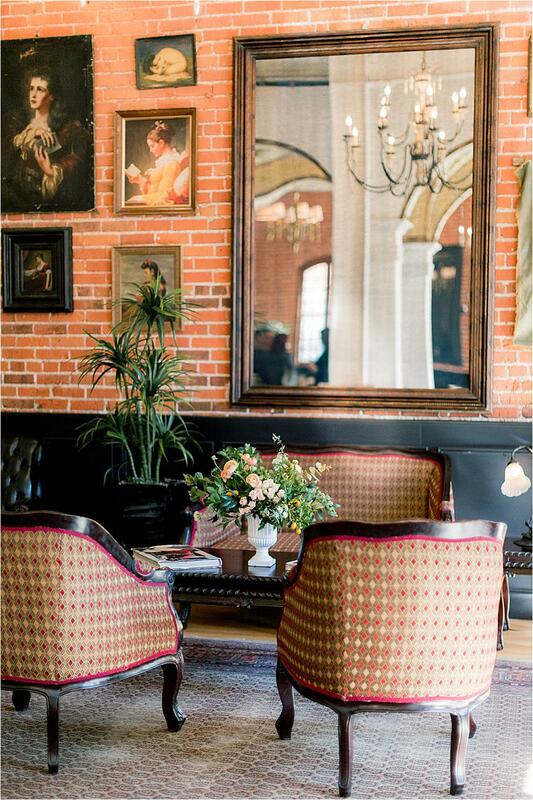 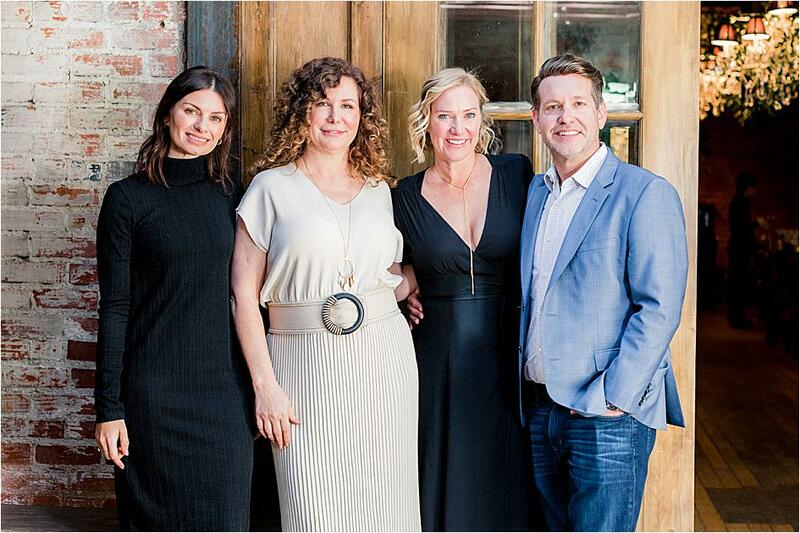 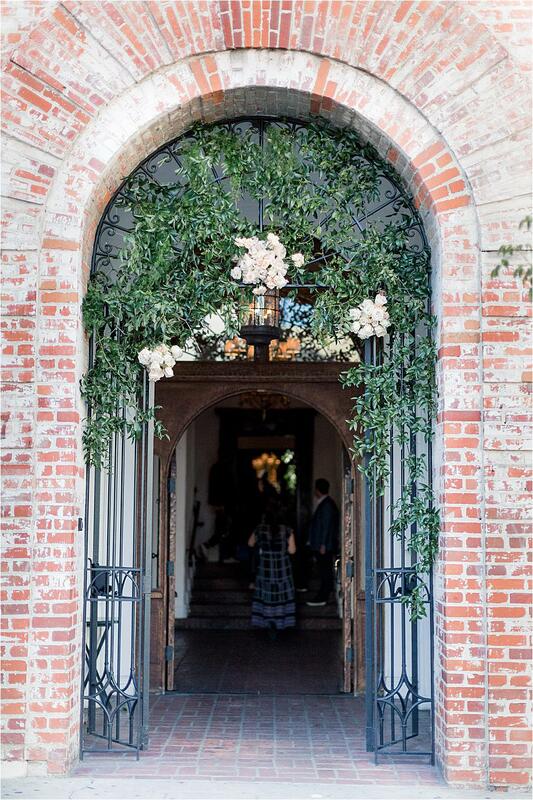 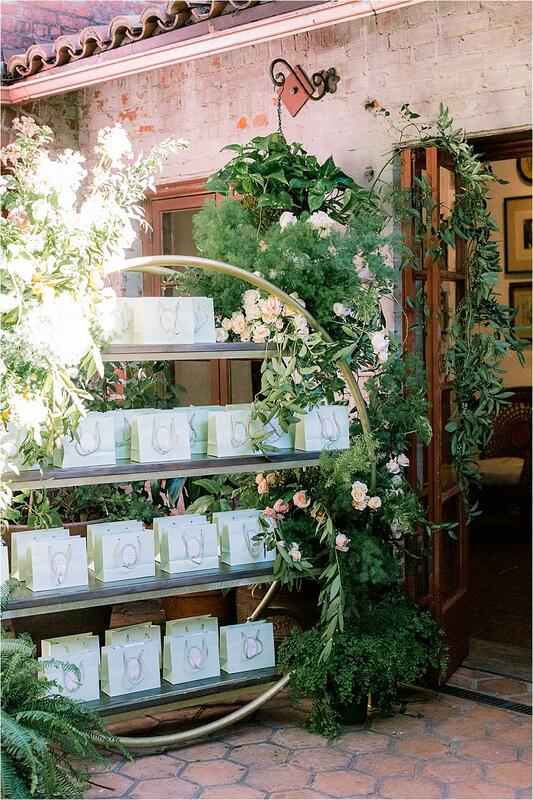 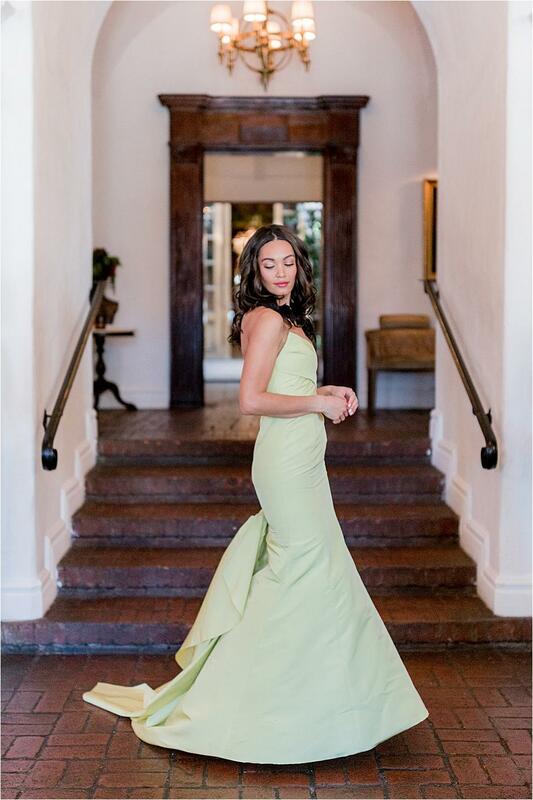 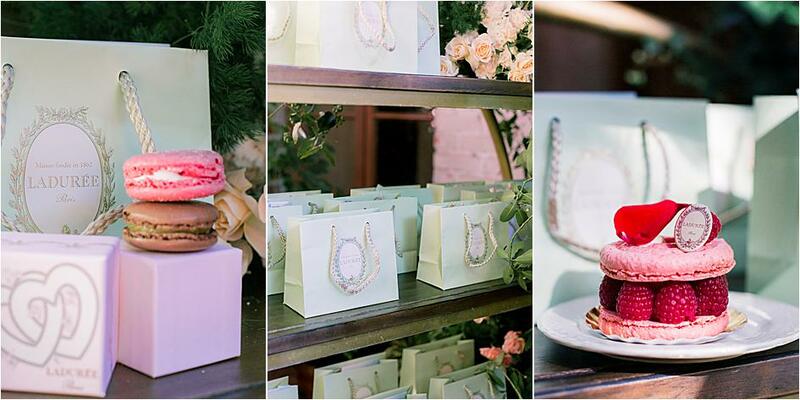 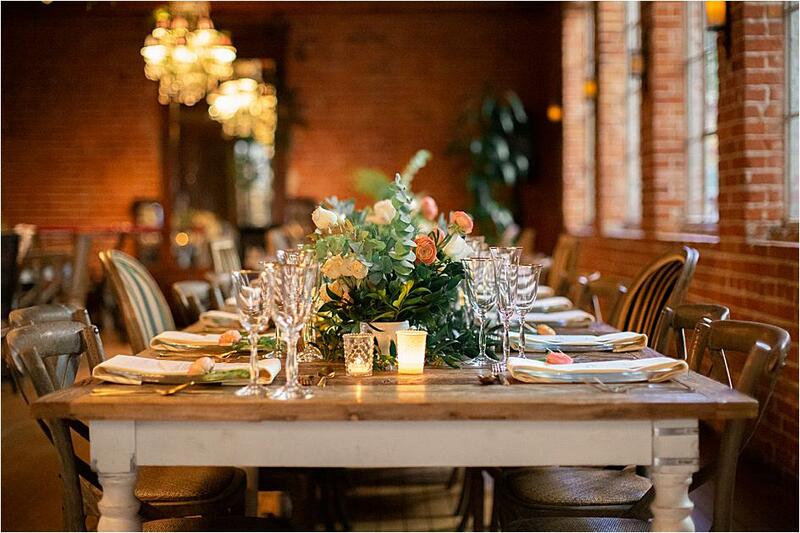 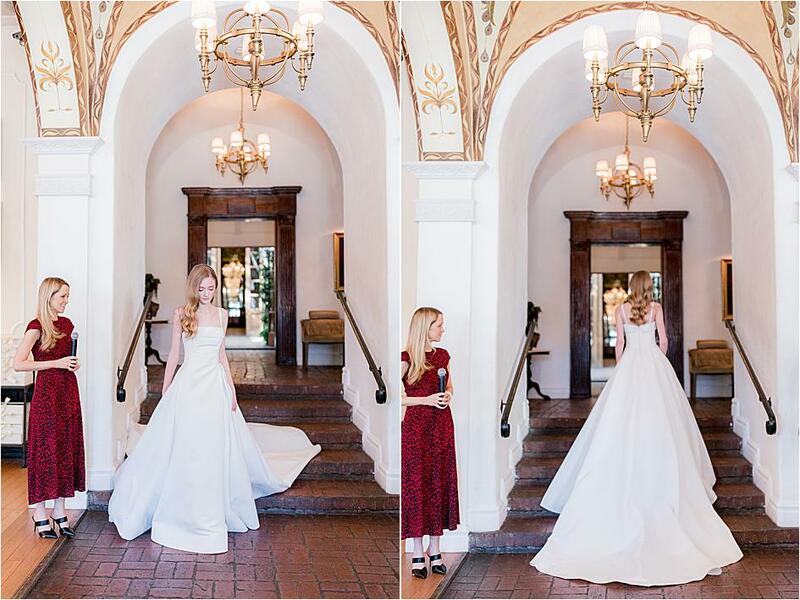 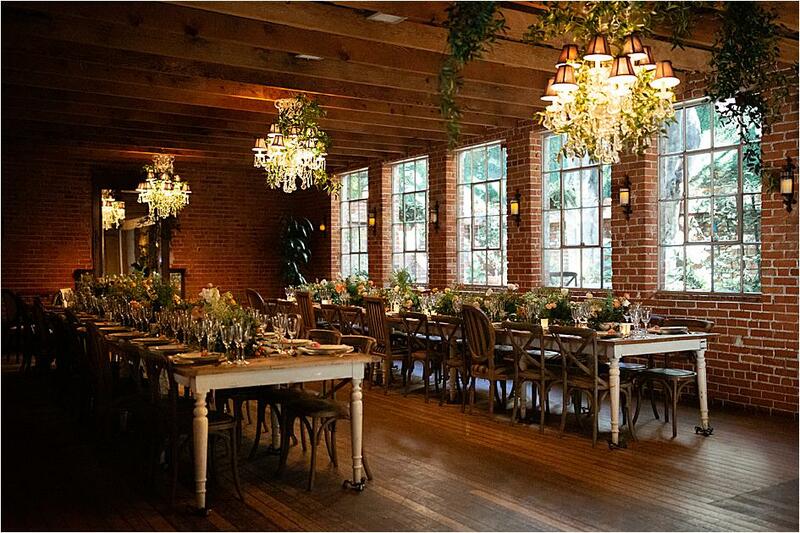 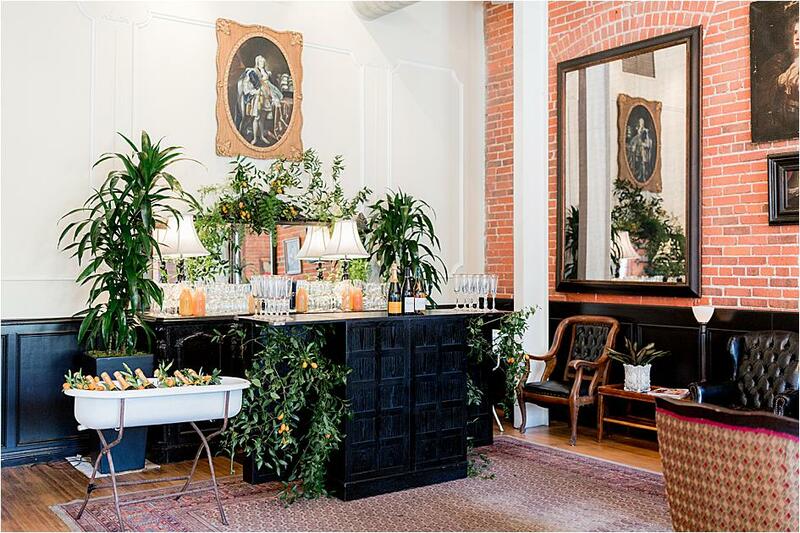 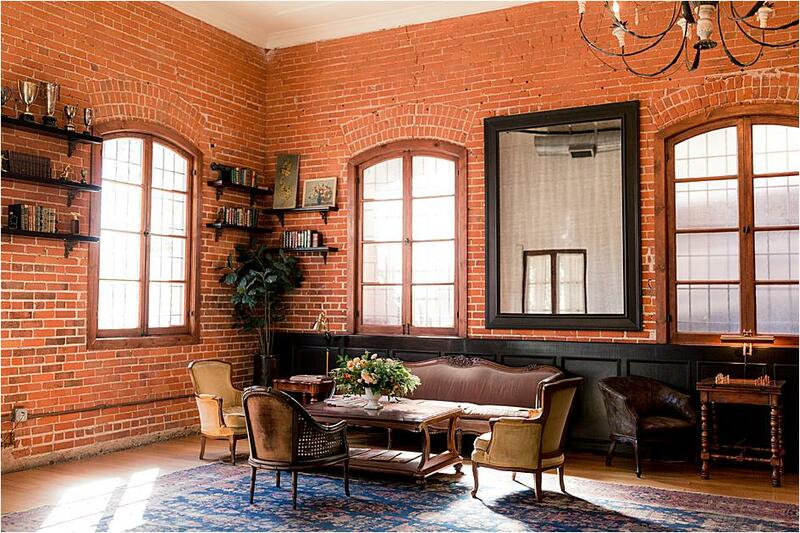 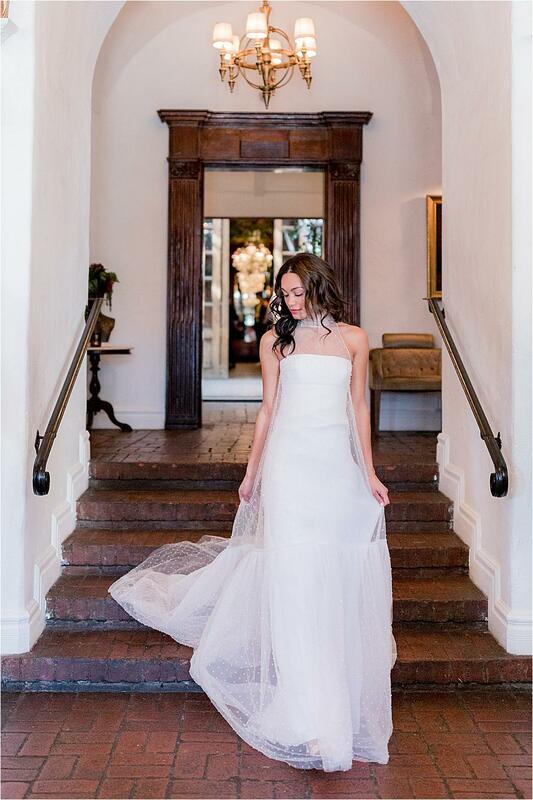 To celebrate her collection, California Wedding Day partnered with Aly Ann Events, Tres LA Catering and JLM Couture for an afternoon luncheon at Carondelet House in downtown Los Angeles. 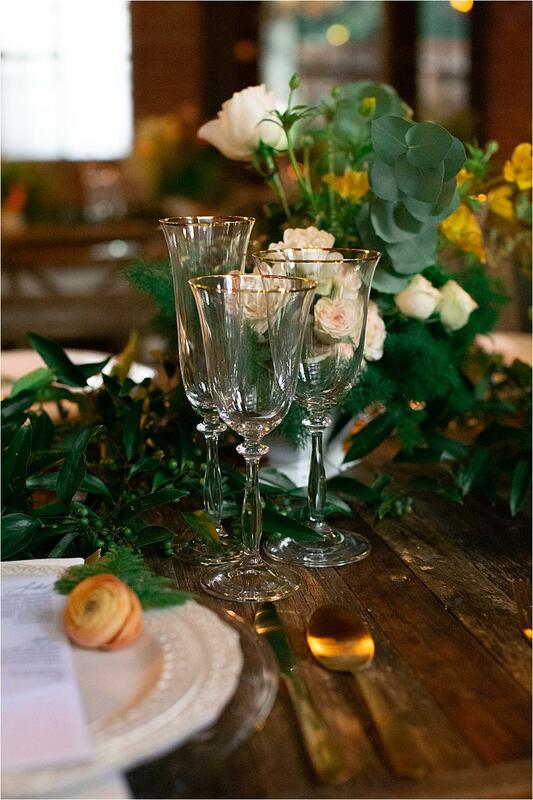 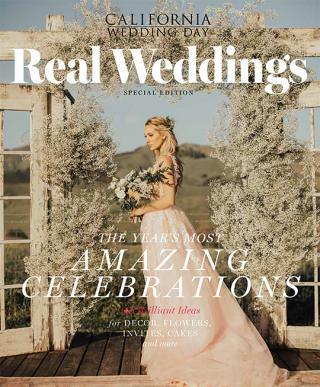 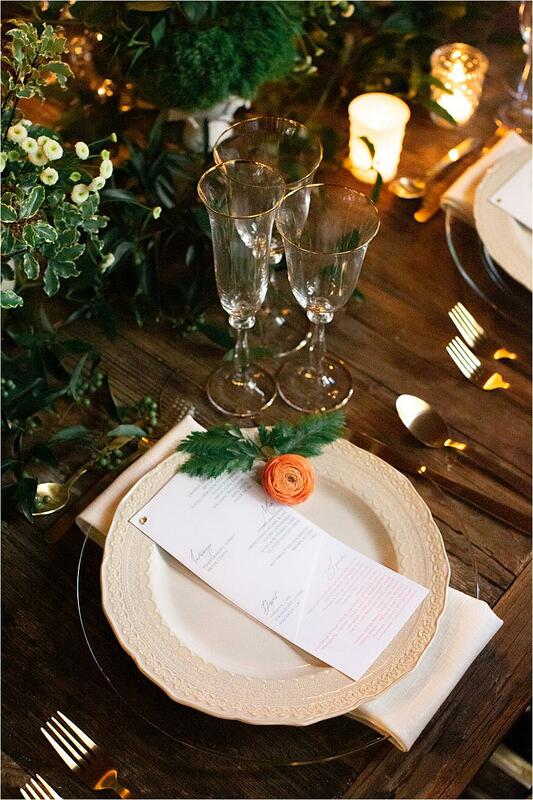 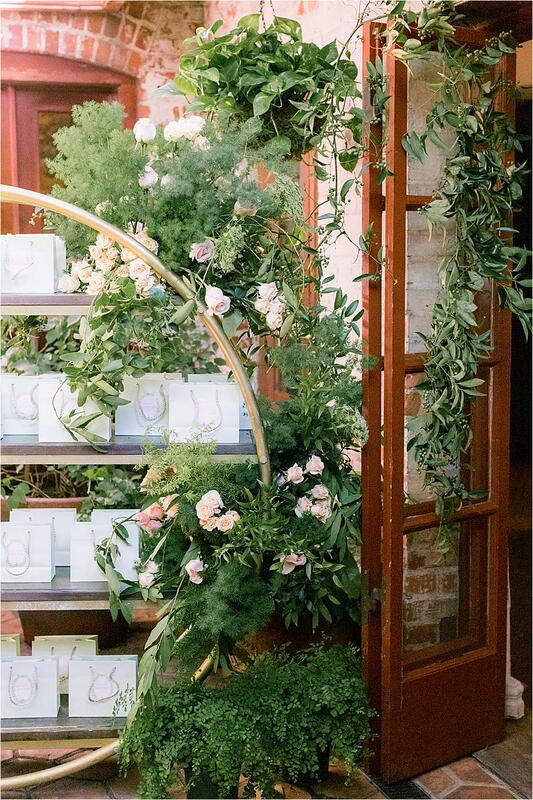 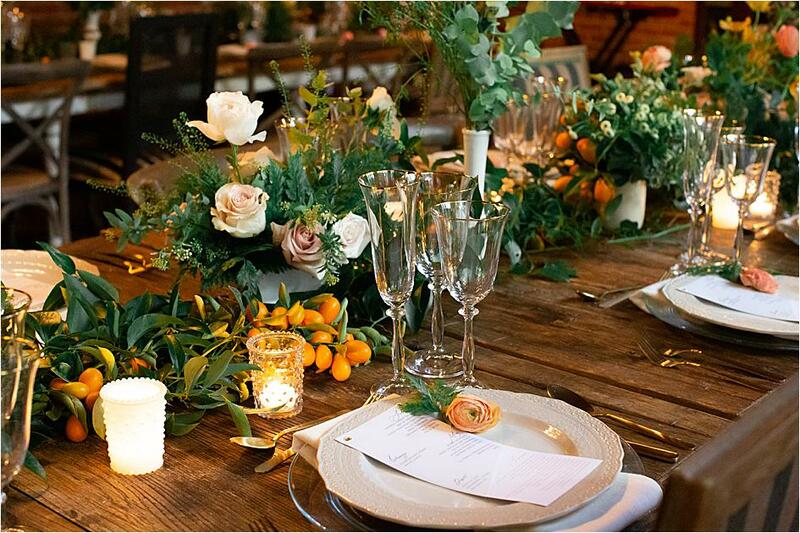 Floral arrangements by Eddie Zaratsian and Tic-Tock Couture Florals set the scene with a palette of lush creams and soft peach tones punctuated with tangles of greenery. 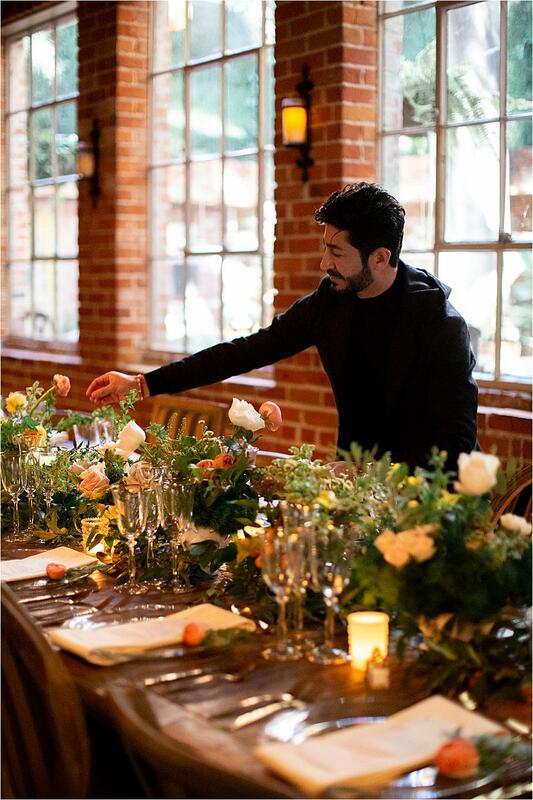 Guests, including Southern California’s most notable wedding planners, gathered for mimosas and hors-d'oeuvres that included chipotle chicken tinga tostadita with charred poblano pepper Coleslaw on blue corn tortillas, pickled red onions mini latkes topped with smoked salmon and Caviar and spiced avocado mash toast bites. 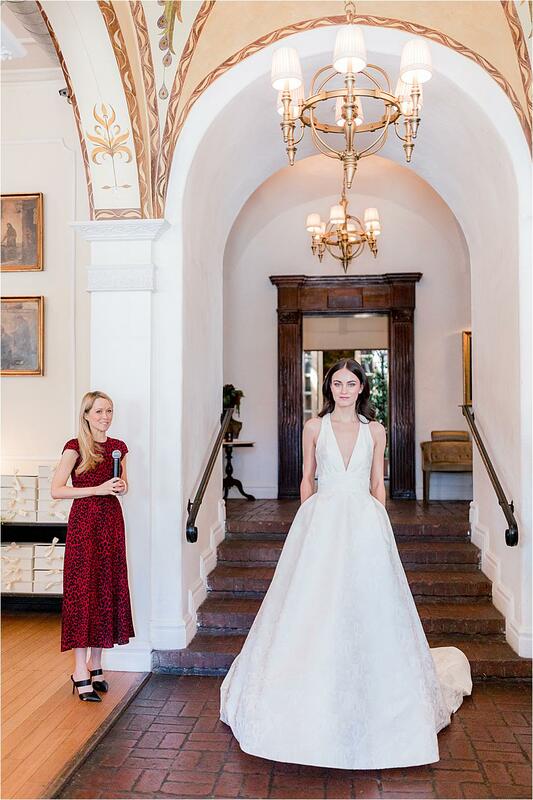 While sipping guests enjoyed a fashion show of Allison Webb’s bridal and evening gown collection that is imbued with a modern sensibility with a timeless and romantic edge. 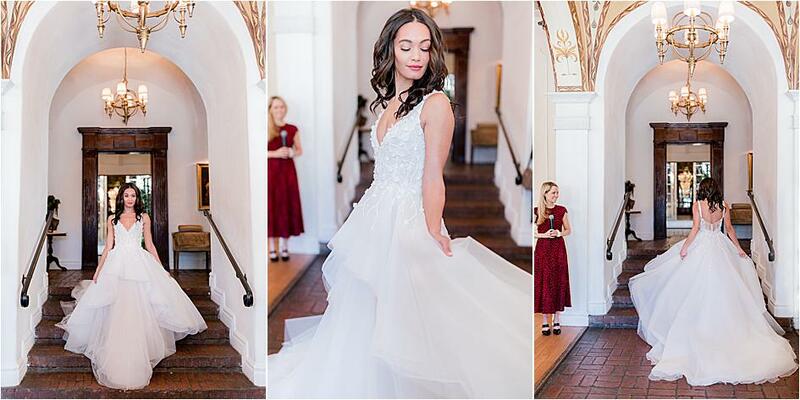 Highlights included the caped Brinlee gown that sparkled with every moment, the royally inspired Kensington dress with a delicately beaded top, and the beautiful Ava gown with a draped, off-the-shoulder top and the modern must--pockets. 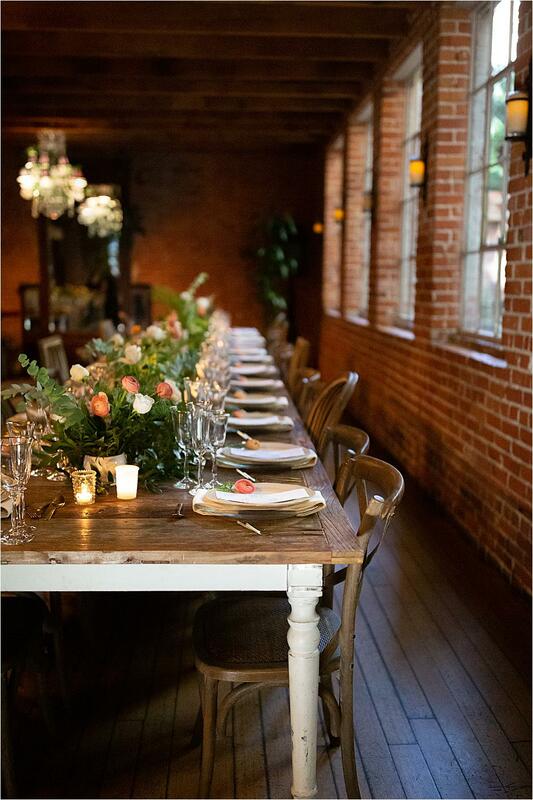 Guest were seated for a elegant lunch served by Tres LA which began with a beautifully layered capresesalata perfectly finished with a dusting of Fleur de Sel, a pomegranate sorbet with Meyer lemon cleansed the palate before the main course where guests chose between a seared branzino with fresh lemon beurre blanc and sliced caperberries served with pommes puree and haricot vert or butternut squash ravioli in brown butter and sage. 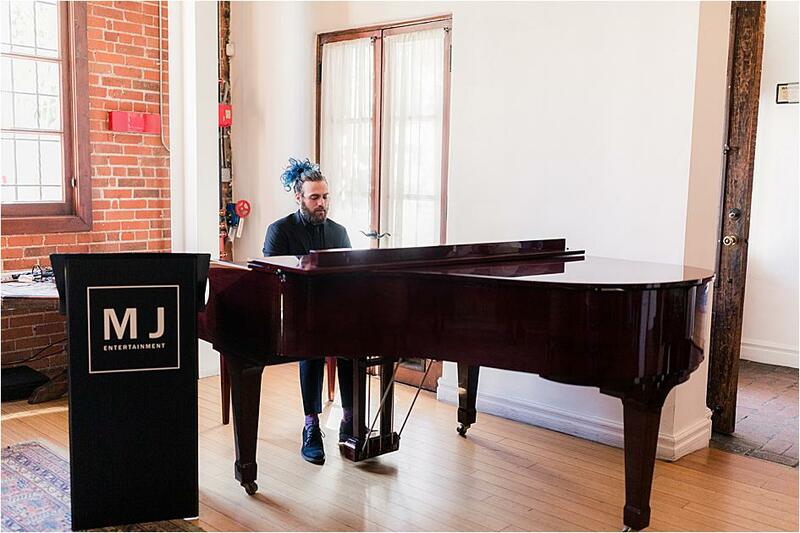 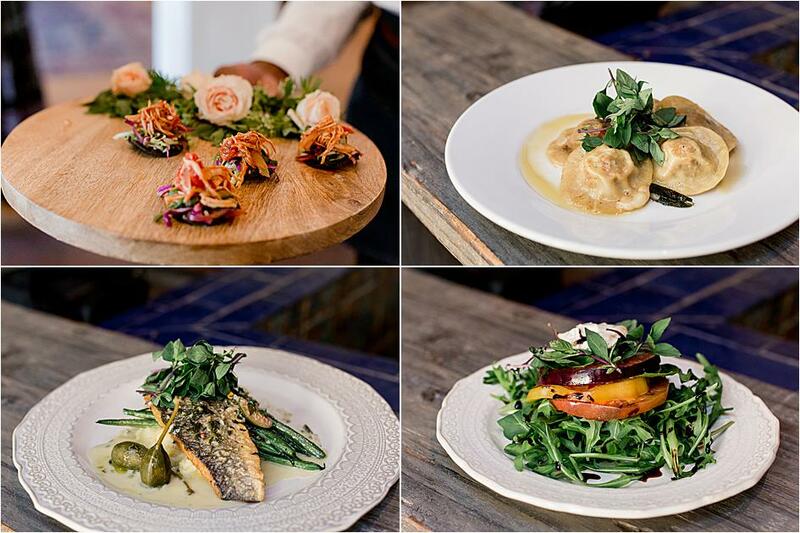 Throughout the meal, MJ Entertainment kept the pulse flowing with live music that set the background for mixing and mingling. 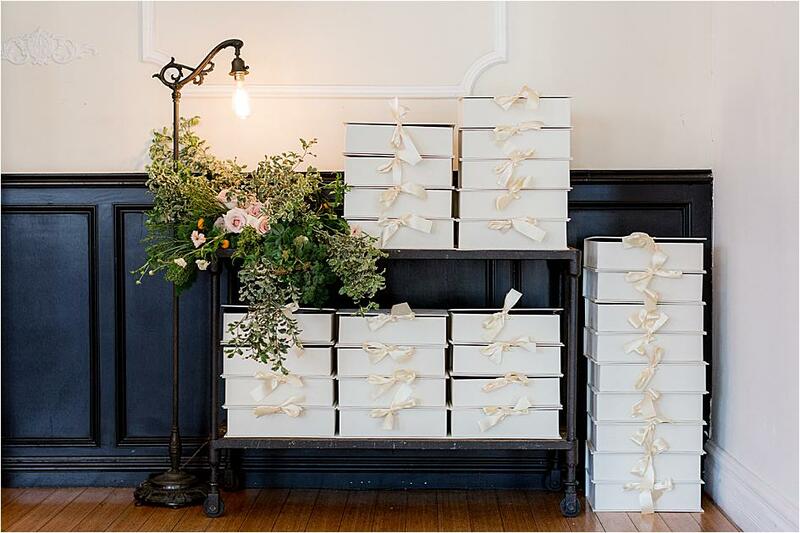 For the final touch, each guest was presented with a personal isaphan strawberry lychee cake whipped up by Ladurée--which make for perfect wedding favors. 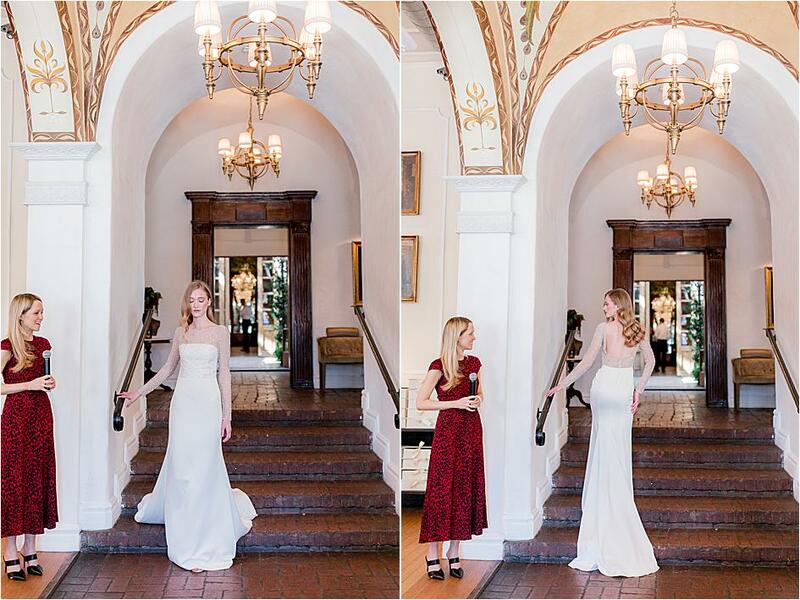 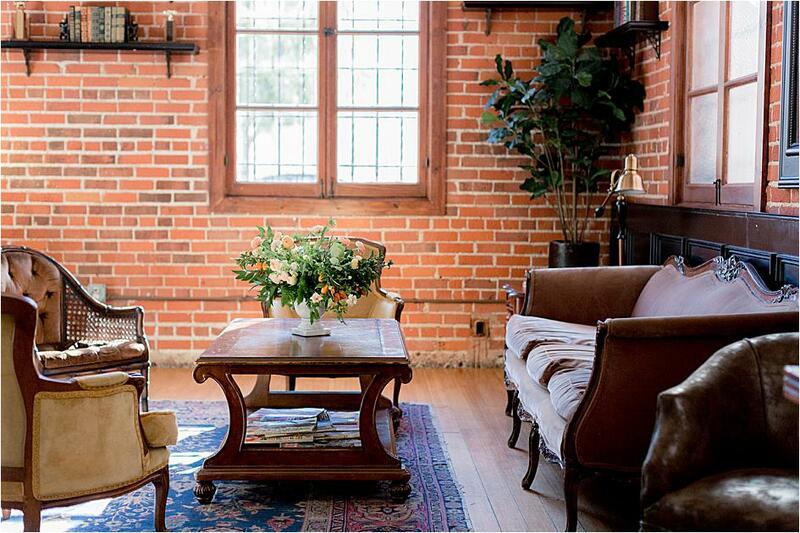 Scroll through all the beauty below expertly captured by photographer Jessica Grazia Mangia.